With an array of diverse technologies pitching in time and again, its utilization in the dairy industry is no different. These automation and precision tools provide a significant convenience to farmers to manage their farms and dairy business that reap huge benefits in terms of monetary gains as well as increased productivity. Apart from these benefits, investing in these technologies also helps in reducing labor input, time consumption, and improves efficiency in decision-making. 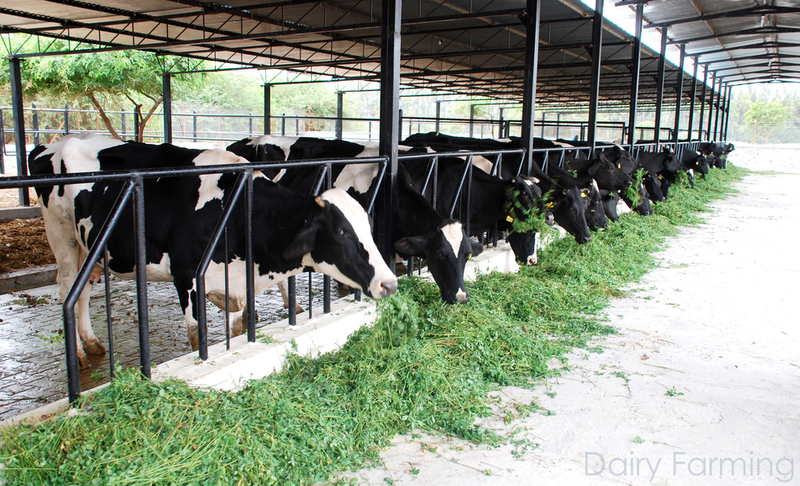 One such concept is Precision Dairy Farming that is treated as an additional tool to manage the farm. Precision Dairy Farming involves focusing on each animal to optimize its contribution using such technologies. It simply simplifies your activities like continuous watching over the herd, tracking their movement and monitoring what they eat. Every little information regarding your cattle is equally important as the productivity is. This further contributes to improving dairy management by and large. Individual animal monitoring leads to maximized animal potential, early detection of diseases, and preventive measures to minimize the use of medication. The model allows a farmer to monitor physiological, behavioral and yielding signs of each animal. The farmer can closely keep a watch on each animal, measure and analyze physical and reproduction conditions of cows important enough to determine their overall health and production. The physical parameters comprise of the cow’s weight, respiration rate, heart rate, body temperature, water and forage intake, sleep patterns, bodily movement, rumen pH, and etc. Whereas the production factors include pregnancy, heat and milk yield of every cow upon milking. It is very much necessary to record milk production by each of your cows. It is done in order to keep track of each animal’s production capacity. This can be achieved easily by automated milk recording software. Based on the results, the feed intake for each animal can be adjusted accordingly. While this can be done by incorporating an automatic feeding technique that adds to your savings big time. It not only helps in increasing the milk yield by each animal but also aids in cutting down unnecessary feed cost and saves huge time. Heat detection on time is crucial for healthy breeding of animals. Accurate heat detection leads to higher pregnancy rates. Timely detection leads to shorter calving intervals, higher lifetime milk production, and more calves. It is important to breed the animals on time to garner economic benefits for your farm. Thus, choosing a proper and efficient heat detection software is essential that provides both accuracy and cost savings. Mastitis is a common disease affecting the cattle’s ability to produce milk and lowering farm’s profitability. The farmer ought to have enough knowledge about mastitis and learn techniques to treat the disease to let it not deteriorate the animal’s health and its productivity. Rather, prevention at the first hand is obviously a good option to avoid the use of antibiotics. It is necessary to learn about cow’s feeding consumption, what it eats, how much and the frequency. The feeding intake affects the overall milk production and farm’s profits. Precision Dairy Farming lets you give the required attention to the cow, its health and related factors through individual and minute focusing on every aspect by and large. Currently, not many farms have introduced the technologies but sooner or later, the farmers are likely to utilize the automation tools and make the most of Precision Dairy Farming as promised.